Products 1-10 out of 10 displayed. Cali Avanti produce ultra-slim and beautifully designed energy efficient electric heaters, each with an intelligent thermostat controlled by a built-in LCD programmer. The Comfort IR range from Ceramicx is considered one of the best available ceramic-based infrared heaters on the market today. Dimplex products range from large renewable and commercial systems to electric fires and panel heaters for private homes. Herschel infrared panels are highly energy efficient and equally suitable for new builds, renovation projects or as a supplement to an existing heating system. Needo is a range of stylish controllable electric radiators and towel racks, equally suitable for homes, businesses and retail premises. Redwell employs innovative, modern technology in panel heating systems that deliver waste-free heat and impressive long-term savings. 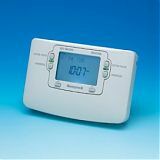 Salus offers state-of-the-art programmable time and temperature controls for the home.